So, you know that there is an abundance of termite populations in the South Florida area. How can you protect your home, business, or any other permanent structure from ever developing a termite infestation? In short — you can’t with 100% certainty. 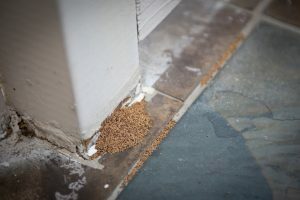 But there are a few things that you can do to lower the chances of termites having the ability to manifest an infestation — and our team of West Palm Beach termite control specialists can help. At Native Pest Management, we utilize a number of tactics and termite solutions to lower the chance of infestation. Among those tactics is the Advance® Termite Bait System. Termite baiting systems are an integral part of our integrated pest management solutions, being that rather than treating a termite infestation after it has been manifested, a termite bait system actively seeks to control termite populations to the point that they cannot establish an infestation on your South Florida property. What Is The Advance® Termite Bait System? The Advance® Termite Bait System is exactly what it sounds like — a termite control system manufactured by BASF Corporation, a leading chemical manufacturer. Like most bait systems, there are multiple product iterations, with each becoming better as they are developed — and the Advance® Termite Bait System is the latest and greatest system. With this new system, termite colonies across the country are being hit in as quickly as 15-45 days. Why is this important? Well, to put it simply, our team of West Palm Beach termite control experts now have just one more tool in their toolbelt to control termite populations on your South Florida property. The Advance® Termite Bait System is an advanced new termite solution that utilizes a variety of internal components to aid our termite exterminators in termite management for our clients. Below, we have listed a few of the most noteworthy components that allow us to manage populations on your property. When it comes to baiting and controlling termites effectively, it is important to increase the number of termites that are attracted to the unit, while also minimizing the abandonment, or loss, of termites that have been attracted. The Advance® Termite Bait System utilizes a dual-stage interior that provides two sources of food for the termites — thus increasing the chances that termites are attracted by nearly double. Next, the system totes a low disturbance design to reduce the chance of termite abandonment after the termite is attracted. 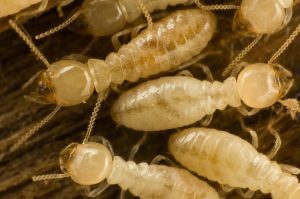 The purpose of the termite inspection cartridge is to promote “harder hits,” meaning a more aggressive attraction by the termite that leads to an increased chance of effective control. The termite monitoring base is one of the most important parts of the Advance® Termite Bait System, being that it is the physical point where the termite will enter the station. By maximizing soil to wood contact, and being constructed of a 63 percent wool blend itself, it allows for the easy entrance of termite populations along horizontal wooden grooves. Concrete bait stations are used where the soil is inaccessible, allowing for termite control in more urban areas. This component contains a termite inspection cartridge (TIC) and a termite monitoring base (TMB), but requires a cap to increase efficiency by allowing for easy opening and closing of the station and easy servicing. Sure, if you visit the Advance® Termite Bait System Web page you may notice that there are a few more components in this creative and efficient termite solution, but you do not have to worry about those — being that our West Palm Beach termite control specialists will take care of the administration of the bait systems. But Why Do We Suggest Termite Baiting? At Native Pest Management, we believe in integrated pest management systems — because pest populations should be addressed before an infestation is present, not after. Termite baiting systems are a great way to do so because they will actively chip away at the termite populations on your property — thus drastically lowering the chance of termite infestation — regardless of the termite species present. If you want to mitigate the risk of termite infestation on your property, we strongly suggest that you get in touch with us today at Native Pest Management. Simply contact us, request a quote, and ask one of our West Palm Beach termite control technicians about the Advance® Termite Bait System and our termite management services.